Global Is the New Local: How Are You Capturing Foreign-Born Clients? You hear all the stats about foreign investment in U.S. real estate and about the increasing buying power of Hispanic-Americans, Asian-Americans and other ethnic groups. The first thing that comes to mind for many people is that these stats and demographic shifts are only occurring in places like Miami, New York, Los Angeles and San Francisco. Even places like Portland, Ore., Oklahoma City, Okla., Nashville, Tenn., and Madison, Wis., have over 10 percent foreign-born populations each. I ask people all the time: What are you doing to capture this business? Unfortunately, most brokers and agents don’t have a concrete answer and, as a direct result, are missing out on a golden opportunity to differentiate themselves, thereby ensuring a successful future, because these trends are not going away. I served on the inaugural board of the National Association of Hispanic Real Estate Professionals (NAHREP) and have also been involved over the years with the Asian Real Estate Association of America (AREAA). I commend both these organizations for not only shedding light on homeownership issues for their constituencies, but for also exposing and educating our industry about the importance of these markets. Educate yourself. Besides joining the two organizations I mention above, educate yourself about the different cultures in your market. Understand that “Hispanic” is a term coined by the government to capture the Spanish-speaking demographic. It is very general and could get you in trouble if you are not sensitive to the differences between one country and another. As a Cuban-American, my tastes, colloquialisms, and even the way I speak Spanish is different from a Mexican, Colombian, or Puerto Rican. Also, Cubans don’t cook spicy food, so when someone assumes that because Mexicans do, I do, I immediately know they are not 100 percent sensitive to who I am. The same can be said about Asian-Americans. In their case, the differences are even more significant since Indians, Chinese, Koreans, Japanese, and others all speak different languages and have completely different customs. Be sensitive. After you have educated yourself, it’s time to put some of what you learned to work. I am talking about being sensitive to the person’s culture, language, etc. One good way to show you “get it” is by translating your marketing material, including your website, to multiple languages. Although many of the foreign-born buyers and sellers you will come into contact with probably speak English, you can’t assume they are completely comfortable and might feel better reading and speaking in their own language. You might also run into a situation where a parent or other relative doesn’t speak English at all. Bottom line, like all other consumer experience initiatives you might be employing, being sensitive to the language and other cultural issues of your foreign-born client is a must. Recruit. 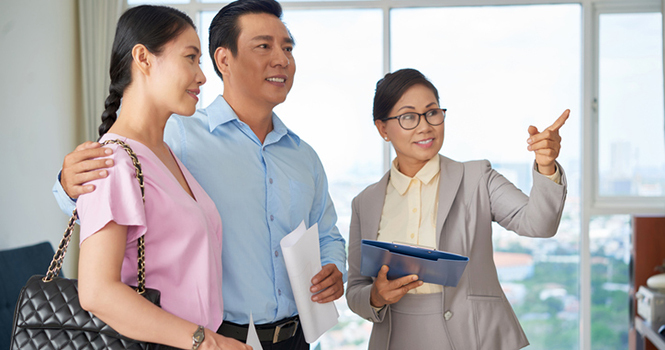 Many foreign-born agents tend to congregate with each other and, in many cases, work for small companies that serve the local foreign-born community. While there is nothing wrong with this, you should be thinking about what you can offer an agent that allows them to still serve their community but gives them, perhaps, more tools and systems to be successful than they might be getting where they are. There are very few examples of regional or national companies making a concerted effort in this area. I will address specific strategies in a future article. Network. By joining NAHREP and AREAA, you will have plenty of networking opportunities that will help capture the foreign-born market. Don’t stop there! There are many other ways for you to network by connecting online, going on trade missions, attending community events, and sponsoring open houses at your office. Show the community you care, you understand, and you are sensitive to their specific needs and requirements. It is very important to remember that the trends addressed in this article are not going to subside; in fact, all data points to a continued growth in the foreign-born population. As such, those who choose to ignore these trends and not make the necessary adjustments to their business models will be left behind. As someone who runs the global sales effort for a company that addresses all these issues, plus facilitates the sale of real estate worldwide, I see how well our clients do by following these simple ideas along with the use of the digital marketing tools we provide. It’s not that complicated to do any of the things I am suggesting, and it will pay off in the long run. Many brokerages only survived the big recession because they had the foresight, years earlier, to offer other services, such as mortgage and title. I believe that by having the foresight to seriously address the importance of the foreign-born buyer and seller today, you will be in a much better position to navigate through the next one. Jose Perez is an industry veteran who is currently executive vice president of Global Sales for Proxio. Proxio’s real estate marketing and sales platform enables enterprises like builders and brokerages to put inventory in the hands of motivated agents worldwide, resulting in a faster and more cost-effective sales process while tracking activity, interest, and leads. Proxio’s digital marketing, translation tools, and collaborative global network of 750,000-plus agents combine to increase visibility and accelerate property sales. For more information, please visit www.proxio.com.